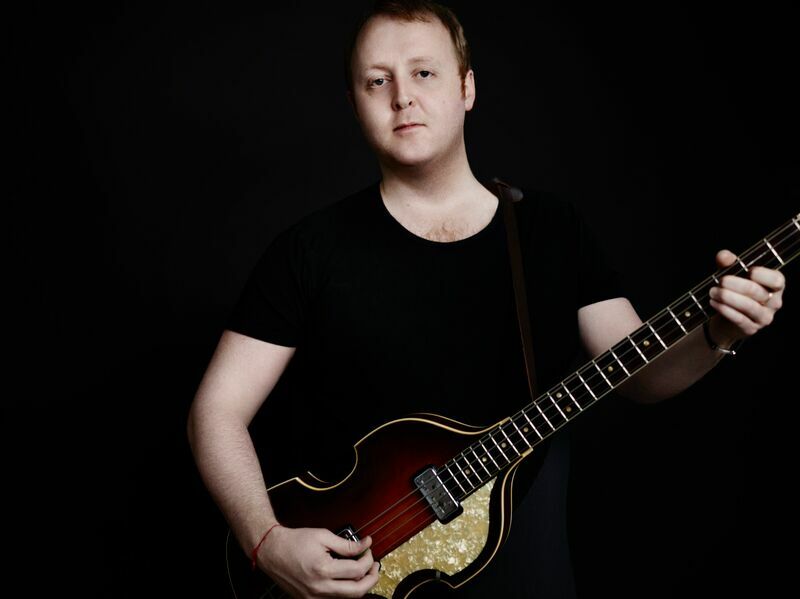 British singer-songwriter James McCartney visits Seattle’s High Dive this Thursday, May 19th. McCartney, who has now released three full-lengths, including the 2016 album, The Blackberry Train, and two EPs, is very much conducting his career on his own terms. See, his parents are Paul and Linda McCartney, so there was always going to be artistic talent in his genes. There’s no getting around that, and so, we’ve addressed his lineage. What’s he like as an individual artist? : beautifully rocking. McCartney combines Britpop with grunge. The Blackberry Train‘s “Paralyis” and “Ballerina” are fine examples of his work, as is that album’s “Unicorn.” You can also hear psychedelic rock in many songs. There’s some Oasis with Nirvana and a bit of Blur. Then there’s simply the blissed-out nature of 2013’s Me. I have a strong feeling these, and, other tracks, will be powerful live. On “The Blackberry Train,” McCartney worked with engineer Steve Albini, whose credits include the Jesus Lizard, the Cribs and Veruca Salt, and it’s an excellent album. James McCartney wrote, in “Thinking About Rock & Roll”: Life’s so fine and it’s already mine. I’ve got a Q&A for you that McCartney, who has such a strong outlook, recently did with me; check it out! And don’t miss him. He’s fantastic. I’m digging every single song he’s written. “Unicorn” is one of my favorites from The Blackberry Train. Where did that lovely song come from? James McCartney: I like the music to have elements of the avant-garde, psychedelic, and be just a little against the grain. But in the end, it’s about having as much emotion as possible for me, musically and lyrically. It’s all about the music being cathartic, heartfelt and true. You’ve studied art. What kinds of art styles do you create in addition to music? JMcC: I feel that they are deeply related, but are also different. In fact all the artwork for my first record, Me and for the the first single off that record, “Strong As You” are made up of paintings that I have done. And I feel that art and expression are always related like that. What was the process like working with Steve Albini on The Blackberry Train? JMcC: It was great. He is a very talented producer and it was great fun working with him. I enjoy the honesty and positivity in your lyrics. How does your commitment to Transcendental Meditation inform your work? JMcC: Ultimately, let your heart and mind guide you and strengthen you, and you’ll be where you want to be. Head over to Ticketfly’s event page for tickets & more details. Written by: Dagmar on 05/18/2016. This entry was tagged james mccartney, posted by dagmar. Bookmark the permalink.